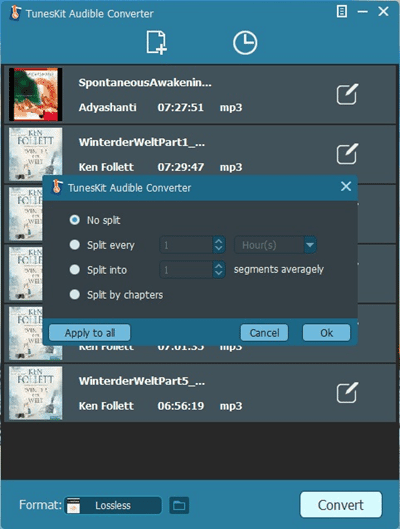 If you are looking for a solution to free you from the DRM restriction of Audible audiobooks, then you should take a look at the newly released Audible DRM removal tool from TunesKit Studio called Audible Converter. As the name suggests, it’s an exclusively developed application for Audible audiobooks only. 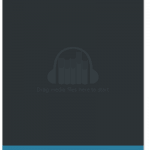 Here in this review, we’ll discuss the key features of this Audible DRM cracker and the performance on how it works when removing DRM from Audible audiobooks in details. Extremely easy and simple user face. 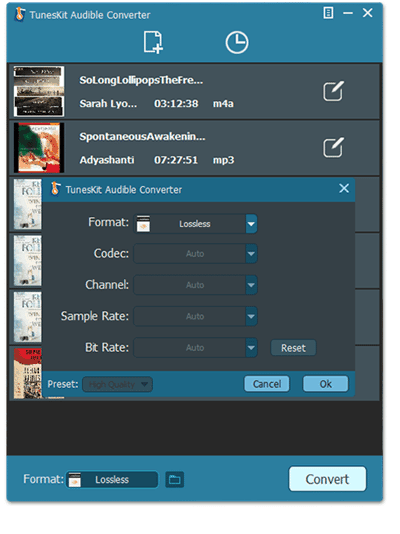 Generally speaking, TunesKit Audible Converter is an innovative and smart DRM removal solution specially designed to bypass DRM protection from audiobooks we purchased and downloaded from Audible.com while converting the DRM-encrypted Audible audiobooks from AAX or AA format to non-DRM-protected MP3, M4A, WAV, WMA, FLAC, AAC, AC3, OGG, etc. 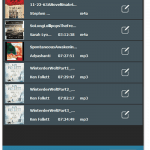 with original metadata and chapters info preserved so that we can get full control of the Audible audiobooks by transferring the converted DRM-free books to any media player or device freely, such as iPod, Zune, Creative Zen, Sony Walkman, iRiver, etc. TunesKit Audible Converter has both Windows and Mac versions. It’s fully compatible with all Windows OS, including the Windows XP, Vista, Win 7, Win 8 and the latest Windows 10. As for TunesKit Audible Converter for Mac, it works perfectly on the most recent macOS 10.12 Sierra, as well as the Mac OS X 10.11, 10.10, 10.9 and 10.8. Like the other DRM removal products developed by TunesKit Studio, this new Audible Converter is well designed with intuitive user interface that everyone could handle it easily. There are no redundant buttons or texts but only a few tidy icons which make the command straightforward and easily to understand. TunesKit Audible Converter for Mac (Windows) is sold at $29.95. Users are provided with free trial version of the program to test it out before buying. The limit of the trial version is that it only converts the first 1/3 content of each book. To unlock the app and convert the whole audiobook, users should pay $29.95 to get the full version. 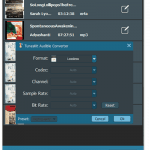 We call TunesKit Audible Converter innovative and special because it uses different conversion approach to strip off DRM from Audible audiobooks. 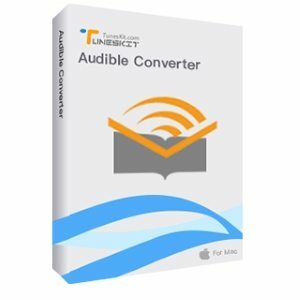 Unlike the other DRM audiobook converters in the market, even including TunesKit’s existing Audiobook Converter, this new Audible converter app no longer requires iTunes to download and authenticate the audiobooks. Instead, it works straight from the Audible files downloaded to your computer. That’s to say, removing DRM from Audible will be as simple as dragging the downloaded audiobooks to the converter without needing to install extra software, such as iTunes. The conversion can’t be simpler. 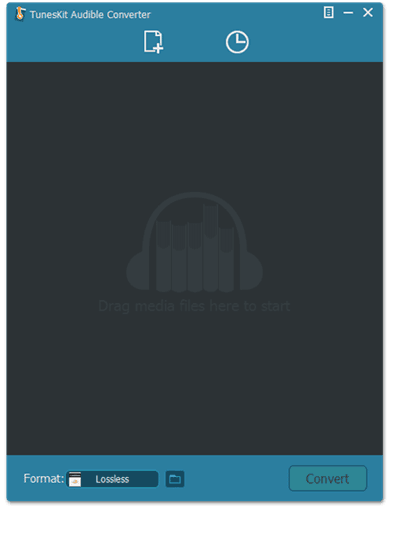 To remove DRM from an Audible audiobook, it only needs three clicks: add the book, set output format, and convert. To make it more specifically, let’s take TunesKit Audible Converter for Windows as an example to see how it performs in converting the DRM-ed Audile book to DRM-free formats. 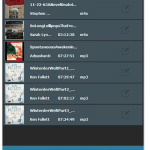 Firstly, it provides two options to add the audiobooks either by clicking “Add Files” button or by dragging the books to the conversion window. And of course, it supports batch conversion so that we are allowed to add as many audiobooks as we want to convert once. 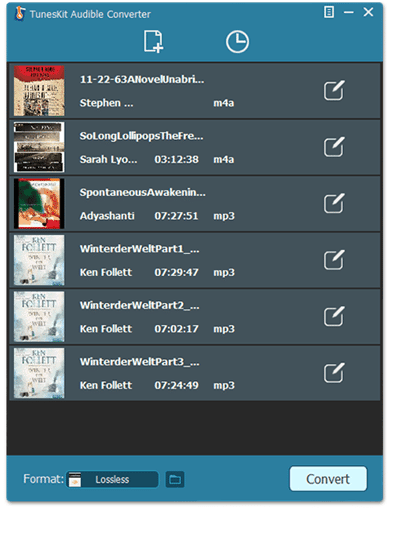 Then the imported audiobooks will be listed on the main interface of TunesKit Audible Converter, displaying book title, author, time length, etc. We can edit the book title by moving the cursor to it and clicking the “edit” icon. 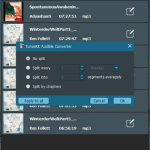 The other bigger “edit” icon next to the book info can be used to split the large audiobook file into different small segments by time or by chapters. Now we move to the next step, that’s to set the output format for the audiobook. Currently TunesKit Audible Converter supports almost all popular audio formats, including MP3, M4A, AAC, AC3, OGG, WAV, WMA, M4B, AIFF, APE, M4R, MKA, AU, etc. To choose the target format, simply click the Format field at the bottom left of the converter. You can also customize the parameters, like codec, audio channel, sample rate, bit rate, etc. of those formats according to your own needs. And if you want the audiobook after conversion keeps the same audio quality as the original book, you should select the output format as “lossless” and it will generate the DRM-free audiobook by retaining the same audio codec, bit rate, channel as the original one. By the way, it also works the fastest under “lossless” setting. Once all output settings are adjusted properly, we can begin to convert the DRM Audible audiobooks. All we need to do is click the “Convert” button at the bottom right of TunesKit Audible Converter interface and the books would be converted one by one in a few minutes only. As we mentioned before, since this smart Audible audiobook converter doesn’t need to work together with iTunes or other apps, it will convert the hours-long DRM Audible audiobooks within a few seconds at up to 100X super faster speed. For example, a 7-hour long Audible AAX audiobook could be converted to DRM-free format in 5 seconds or so when the output format is set to be lossless. Moreover, the output quality will be as excellent as the original book. Take a look at the snapshots of the properties of original audiobook and converted one and you’ll see there’s no quality loss at all. After a thorough testing of TunesKit DRM Audible Audiobook Converter, we can see the conversion is smoother and faster than any other common Audible converters. It removes DRM protection from Audible AA and AAX audiobooks with ease while producing lossless audio quality. If you are asking whether it’s worthy to buy, the answer would definitely be positive. So what are you waiting for?